They’ll go quietly...unless, of course, one of them wants to do another music video. News5 correspondents Dindo Flora, Ruel Otieco, and Mae Ann Los Baños (via InterAksyon.com) report that "Philippine National Police-Criminal Investigation and Detection Group (PNP-CIDG) Director Benjamin Magalong revealed that Senators Juan Ponce Enrile, Jinggoy Estrada, and Bong Revilla had a ’gentleman’s agreement’ with him that instead of being arrested at their homes, they would just proceed to Camp Crame and go to the office of PNP chief Allan Purisima once their respective warrants are issued by the Sandiganbayan." 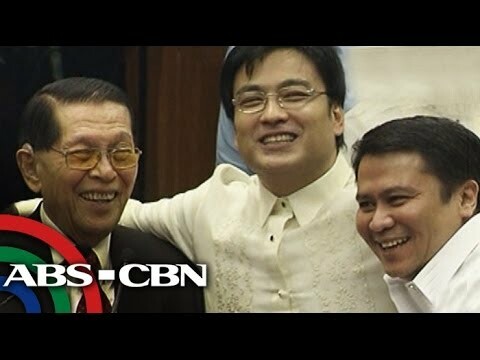 GMA News Online’s Amita O. Legaspi likewise reported: "Documents show that Enrile and his co-accused allegedly amassed P172.8 million from 2004 to 2010, Estrada and his co-accused allegedly got P183.79 million from 2004 to 2010, while Revilla and his co-accused allegedly received P224.5 million from 2006 to 2010." For more on this story, log on to InterAksyon.com, Inquirer.net, and GMA News Online.